Top Engineering Colleges in AP 2019 – Eligibility Criteria to Get Admission: Andhra Pradesh is one of the best states in India that is offering the quality education for students. The AP is recognized as the 8th largest state in India. In Andhra Pradesh there are overall 700 educational institutions and universities exist. The educational institutes offer various courses such as engineering, medicine, computers, law, and other courses. The colleges were massively increased in Andhra Pradesh. Many of the students are now completed their EAMCET examination and also got the rank. In this present situation, students are in dilemma to select their college. 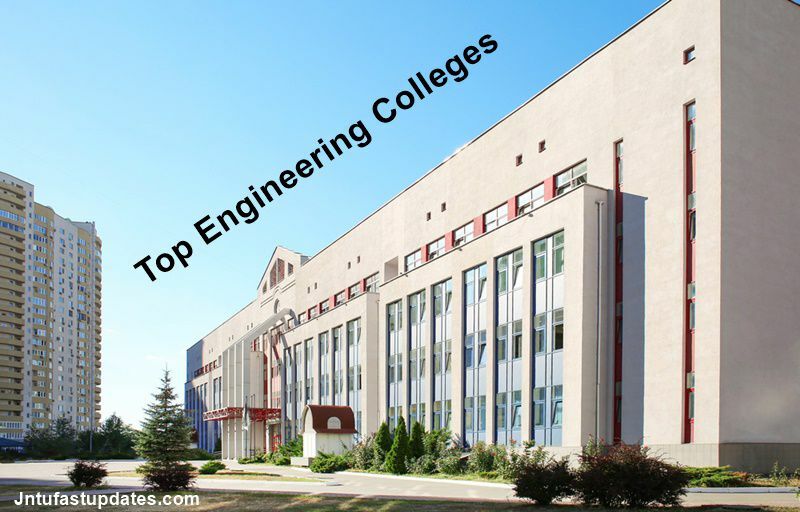 So, today we are here with the list of top engineering colleges in Andhra Pradesh. This article may help the aspirants to find the suitable Engineering College in AP. Go through the details below. Students seeking admission in Engineering course must have cleared any of the competitive tests such as EAMCET, ECET, or JEE Main Examination. Candidates will be preferably given admission as per their rank scored in the test. Students can choose any of the courses such as Engineering, MBBS, B.Pharmacy, Graduate Degree etc after their 10+2/Intermediate is completed. Now, we shall examine the detailed eligibility criteria to get admission in the course of Engineering. 1) Candidate must pass the Intermediate / 12th / Plus two with minimum 55% to 60% marks or should hold a diploma degree. 2) Candidate must qualify the statewide engineering entrance test or national wide engineering test. Candidates qualified in AP EAMCET Examination can get admission into 4 years B.Tech course in any of the Engineering colleges in Andhra Pradesh. Candidates, those who have pursued the Polytechnic/Diploma courses can get direct admission into 2nd year B.Tech course by qualifying the AP ECET examination. JEE Main examination is conducted annually for students aspiring to get admission into engineering courses in IITs, NITs, and other Government colleges. Aspirants qualified in this examination can also get admission in AP Engineering Colleges. The JEE Advanced has also conducted annually for aspirants seeking admission into Engineering UG Courses offered by IITs. Also, the candidates those have qualified the JEE Advanced examination can get admission into Engineering colleges in Andhra Pradesh. Students qualified in any of the examinations mentioned above can choose any branch such as Electrical, Electronics, Computers, Mechanical, Civil, Chemical, Aeronautical, IT, Communications, or any other specialisation as per their interest. The Engineering colleges offer various B.Tech specialisations for students. Here, we are listed top engineering colleges in ap according to placements, fee structure. Check list of top engineering colleges in andhra pradesh with address below. Top private engineering colleges in AP also mentioned here.